Thanks to their in-depth knowledge of the production process, our teams can produce salt in all its different forms to answer our clients’ needs, no matter what the field. Salt is said to have more than 14 000 uses. This however is not only one type of salt, but many different types of salt, all with very different characteristics. 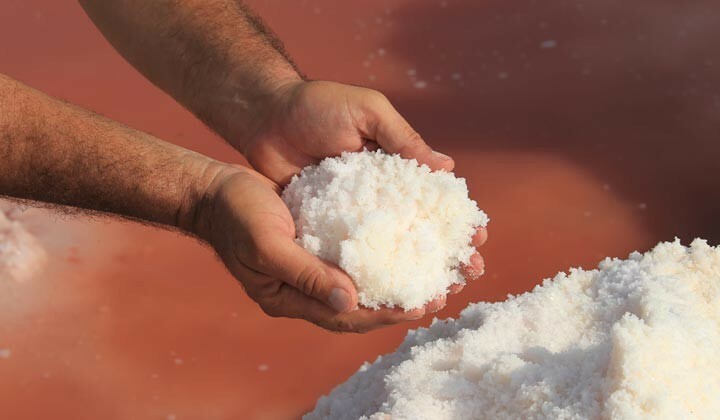 The only international company entirely devoted to salt, the Salins Group are experts in the different production processes (farming methods for sea salt, thermal methods for vacuum salt, mining for rock salt) and the transformation processes which help them accompany their clients in every market and offer THE best salt for each individual use. The Group has made this expertise their first goal. We want to be acknowledged by our Clients for our all round efficiency on a day to day basis and in all fields. Production, processing, innovation, transportation, measurements, checks…, no matter what the domain, the Salins Group employees are united each day with the same goal in mind: excellence. Excellence is striving for optimal results on a daily basis, asking the right questions in order to change, correct, progress and take that extra step, communicating on how the different projects are coming on or discussing the problems met along the way. It is not enough to simply take notes and acknowledge problems, excellence involves keeping your promises, offering solutions, looking for new possibilities, communicating, and always progressing with enthusiasm. The excellence at the heart of our teams is also based on sharing experiences, being environmentally-friendly and putting into force tried and tested methods whilst constantly striving to improve them: Quality is one of our best allies. An obsession with Customer Services is one of the Salins Group Values, striving for excellence is a logical step. It is this professional attitude and our sense of Customer Service that have made the Salins Group the reference that they are today in terms of salt production in all the markets. With our status as a model company, we must set an example to the rest of our industry by our actions and our commitment to information, health and environmental protection. The Salins Group Research and Development Department is working on healthier alternatives, exploring salt, which still hasn’t given up all its secrets – for example, does the shape of the crystals play a role in the taste? Our teams work enthusiastically to discover even more about this product, essential for all living organisms. The questions raised about salt and our health are an opportunity to explore new ideas and to lead from the front. In a bid to be more transparent, Les Salins du Midi and La Baleine brands are participating in an experiment to put Environmental Information Labels on their products. This was one of the key measures to come from the “Grenelle de l’Environnement”, the government’s roundtable for the environment, a helping hand for consumers to indicate which products are environmentally-friendly. From an environmental point of view, the Salins Group are fully responsible and aware of all their operations. They are conscientiously committed to the protection of their environmental biodiversity and are a model for flora and fauna preservation. Not only does the Group protect this flora and fauna but they have also initiated real active ecological steps in order to promote biodiversity. Today the sites of the Group are held up as examples in terms of the management of their sustainable natural resources. We develop unique professional skills for our Clients and promote the knowledge, experience and enthusiasm of the men and the women who work for the Salins Group. The men and women who work for the Salins Group do not have a SINGLE profession but MANY professions. They do not have only ONE area of expertise but MANY areas of expertise. These priceless qualities are put not only to the good use of the satisfaction of our Clients but also for the personal and professional satisfaction of the teams. With salt, in all its shapes, sizes and uses at the heart of our activity, this diversity and technical prowess are a unique wealth that we take good care of. The huge range of professional skills and this collective expertise, along with our enthusiasm are the added value which has helped our company to stand the test of time for the last 150 years.